New season, new look! Our Gold Tier is better than ever. 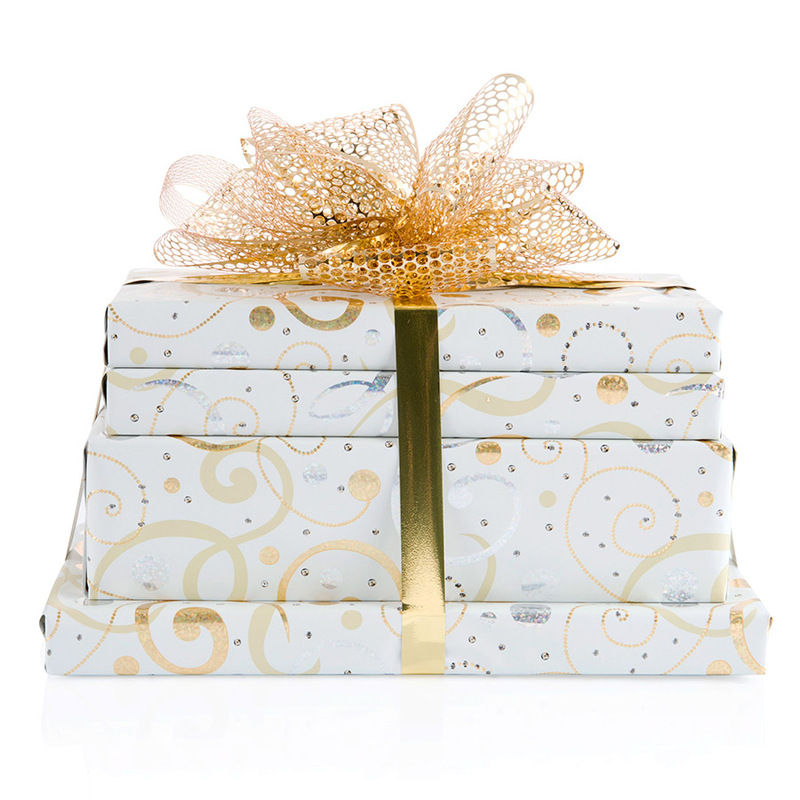 Indulge in the intense flavors of a whole pound of our most requested assorted milk chocolates, 12 oz. Milk Chocolate Covered Pretzels, 10 oz. Truffles and our 10 oz. Peanut Butter Meltaways exquisitely wrapped and tied with a new gold ribbon.